When it comes to their approach to Bohemian Rhapsody, there’s a wack of critics who’d probably confuse beach reading with Tolstoy, if Rotten Tomatoes is to be believed. 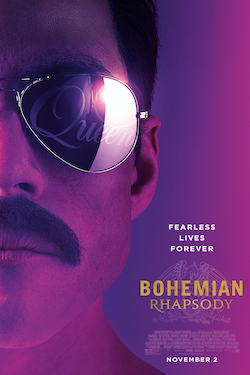 The world’s most fan-friendly band deserves a fan-friendly movie, and Bohemian Rhapsody is just that. 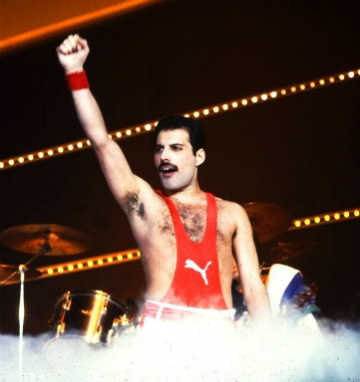 Critics, who seem to delighting in the phrase, “is this the real thing, or is this just fantasy,” as if they’ve discovered a new element of the periodic table, are missing the mark: needlessly nitpicking timelines, bellyaching about whether the movie accurately depicts Freddie’s sexuality or descent into debauchery (as if that, rather than insights into the creative process, is something more interesting to an audience expecting to see the story of Queen) and ruminating about the use of CG for crowd scenes (we’ve got news for you: wrangling 10,000 extras to recreate Wembley stadium ain’t in the cards). Bohemian Rhapsody (as it should be), is performance-driven in terms of musicality and thespianism. Rami Malek’s incredible physicality is more than enough to carry the day. He fills out Freddie’s wife-beater and makes the mercury rise. See guys, two can play at the Queen pun-game. Yes, the beats are often Behind the Music, yes the “clap clap stomps” that inspired “We Will Rock You” are so cheesy they should be grated on bruschetta, and yes the band members not initialed F.M. fade into the background more than they should…but there’s no denying (despite what you’ve read elsewhere) that this is an immensely enjoyable popcorn movie. Mike Myers is cracking as a nay-saying EMI exec who bought into Pink Floyd’s excesses but balked at Queen’s. Aaron McCusker (of the original, superior UK version of Shameless) is sweetly endearing as Mercury’s love interest, Jim. Is the Freddie characterization too straight, too gay, not bi enough, not gay enough? He could’ve been defined in life, so leave him alone in death. Will you get more subtext than text about what made him tick? Hardly. But what you’ll come away with is the rush of being able to experience the rise to fame of one of the world’s greatest bands, if you were too young to experience it the first go-round. And for a supersonic talent like Freddie Mercury, that’s tribute enough. This entry was posted in Documentaries and tagged movies and music by Really Awful Movies. Bookmark the permalink. It’s perfectly fine and entertaining. Nice review.